Buenos Aires' Chief of Police, Coco Carlomagno, is sure his office high in the Obelisco is haunted. Every day at the same time he sees a floating pineapple and every day he hears a terrible noise. What could it mean? Who could it be? There's only one guinea pig Coco can turn to to help him in his hour of need: his logic-loving cousin Alberta. 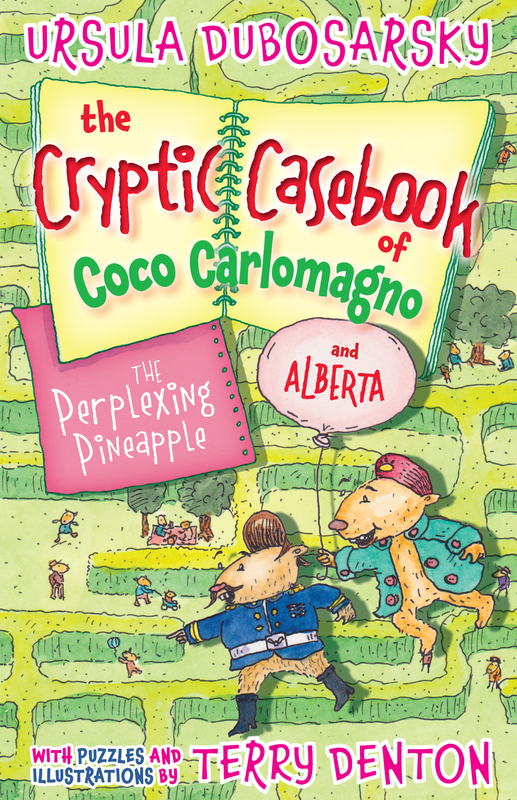 Can Alberta help him unravel the mysteries of the perplexing pineapple? URSULA DUBOSARSKY is regarded as one of the most talented writers in Australia today. Her work ranges from multi-award-winning novels for older readers like Abyssinia, Theodora's Gift, The Red Shoe and the 2012 CBCA shortlisted The Golden Day to her highly-acclaimed and hilarious picture books with Andrew Joyner such as The Terrible Plop. Ursula has also collaborated with Tohby Riddle in their award-winning series that takes an entertaining journey through English language, The Word Spy and Return of the Word Spy. 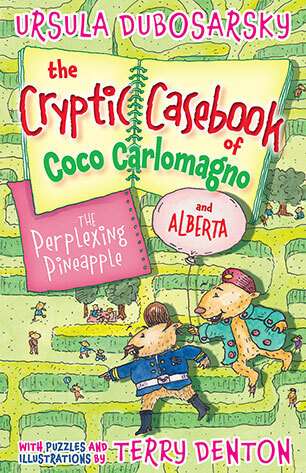 TERRY DENTON has written and illustrated many popular books, including Gasp! the breathtaking adventures of a fish left home alone (now an animated TV series), the madly inventive Storymaze series and his books for younger children about Wombat and Fox. He is also a long-time collaborator with bestselling author Andy Griffiths and their books, including The Cat on the Mat Is Flat, The Bad Book the hilarious Just! series and 13 and 26 Storey Treehouse have won every children's choice award in the country.